Amateur robbers use a gun. 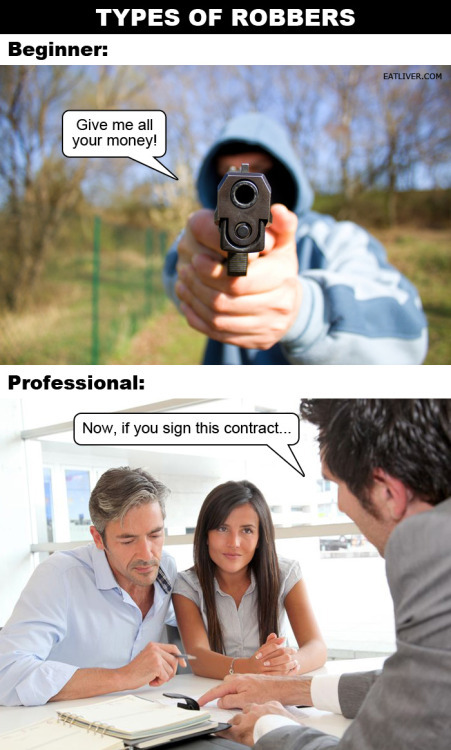 Professional robbers use a contract. Enough said.